Mark Kleyn is a multifaceted professional, blending his interests of classical & contemporary chamber music, sport psychology, and education in a varied career. Mark frequents concert halls, bar stages, and conservatory classrooms. 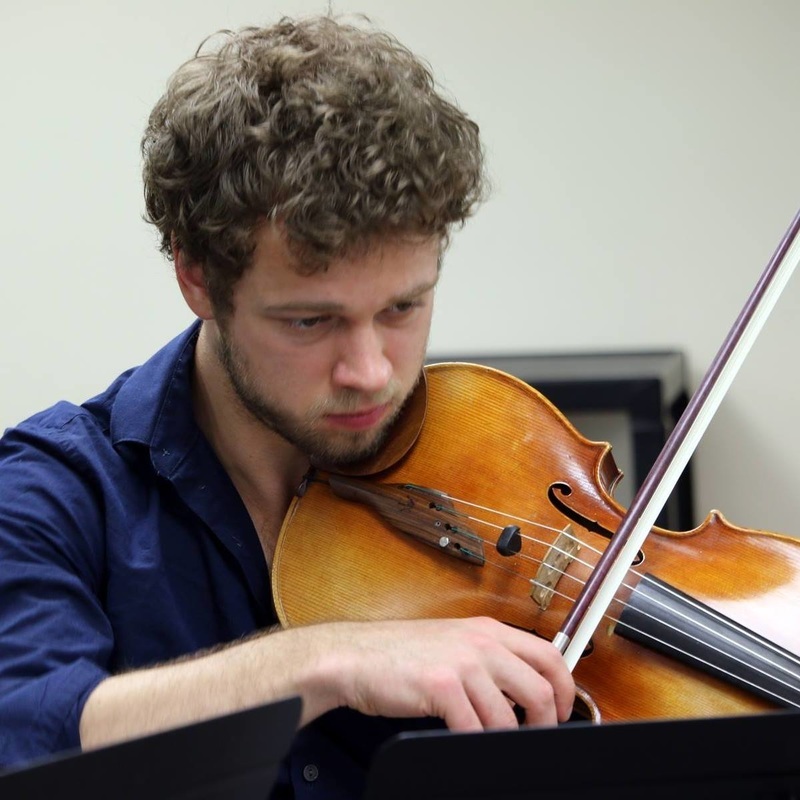 Born in Michigan, Kleyn received his Bachelors of Viola Performance from Western Michigan University, studying with Professor Igor Fedotov, and his Masters of Viola Performance at the University of Ottawa with Professor Rennie Regehr. Mark has also earned an MA in Musicology from the University of Ottawa, focusing his research on the application of sport psychology to performing musicians. Mark's primary passion is the cognition of performing. Mark has taken courses on sport psychology from professors at uOttawa and Florida State University, and Mark's research in leadership roles in ensembles has taken him to conferences across Canada. Mark currently runs a blog on performance psychology for musicians and teaches workshops at the University of New Brunswick. Mark is currently the violist for Pallmer, a viola-cello duo with Emily Kennedy. The duo has performed classical and contemporary concerts, as well as making their way into scenes typically populated by rock, folk, and pop musicians. Mark is honoured to hold the conservatory coordinator for the UNB Centre for Musical Arts. After office hours, you can find him teaching classes on performance psychology, playing with local orchestras, and rock-climbing at the FitRocks Climbing Gym.